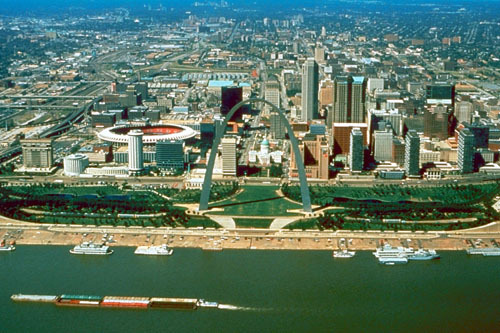 Probably best known for the famous Gateway Arch, opened in 1965, St Louis is steeped in a rich and colorful history. Prior to being owned by both Spain and France, the area that is St Louis was home to more than 20,000 people known as the Mississippians - a civilization of mound builders. In fact, one of St Louis' earliest nicknames was 'Mound City.' 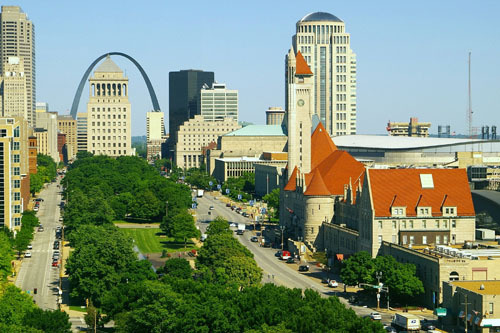 Named for Louis IX, the Crusader King of France, in 1764; St. Louis was eventually sold by Napoleon to President Thomas Jefferson in the Louisiana Territory purchase in 1803. You'll see references to Lewis & Clark (including a museum at the bottom of the arch), because of their role in turning St. Louis into the 'gateway to the west' - the last stop for those traveling to the west to explore a new frontier. 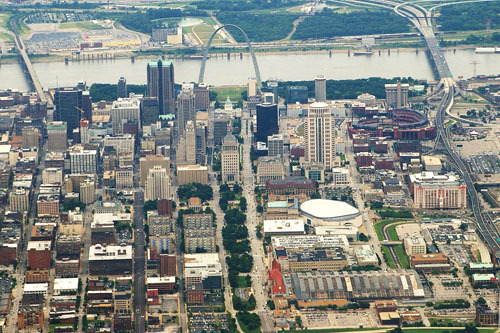 Today, St. Louis is a vibrant city with a population of about 319,000. Not too big, and not too small, St. Louis is family friendly and offers a myriad of attractions such as the zoo, art museum and science center with free admission. 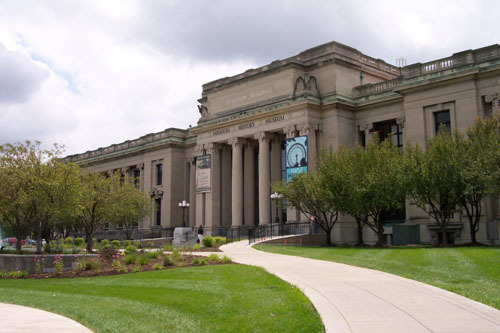 Located in Forest Park, the St. Louis History Museum is a great family destination that includes a wide variety of interactive, hands-on exhibits including video stations, games, puzzles and a smelling station. Suspended from the ceiling in the museum’s grand hall is the sister ship of Charles Lindbergh’s famous Spirit of St. Louis, and is said to have been flown by actor, Jimmy Stewart in the 1957 movie, The Spirit of St. Louis, and by Lindbergh, himself. 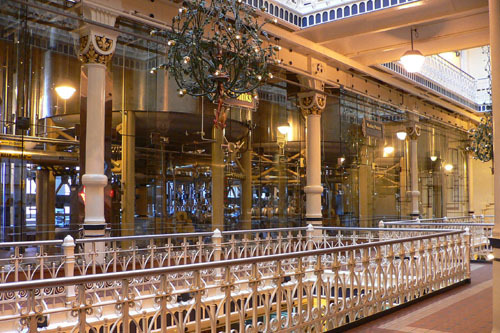 Beer lovers unite and gather around for a tour of the historic Anheuser-Busch brewery. 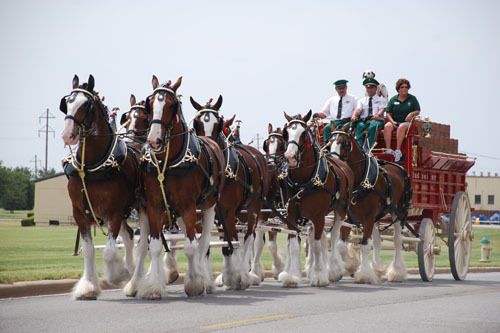 You’ll visit the historic Budweiser Clydesdale Stable and Brew house; view some of the handsome Clydesdale often seen pulling the brewery wagon; venture into the Beechwood Lager Cellars and the Bevo Packaging Facility. The tour lasts about an hour and a half and is both educational and fun. Be sure to wear some comfortable walking shoes. At the close of the tour, you’ll get an opportunity to sample some of Anheuser-Busch’s newest creations. Who would have thought that buying just one beautifully artisan-crafted basket could change the world? The folks at the Blessing Basket Project in St Louis believe just that. With an online presence, as well as several retail locations throughout St. Louis and nationwide, the Blessing Basket Project helps provide artisans from developing countries such as Bangladesh, Ghana, Madagascar and Uganda the opportunity to not only exist, but to thrive. Using a unique financial model, artisans are paid more than twice the amount of fair-trade wages for their crafted products. Most use the monies earned to create small business that result in them creating a sustainable wage allowing for financial independence. There are several retail locations throughout the city including ‘your green general store’ Home Eco on Macklind Avenue. Check their website for a store near you. 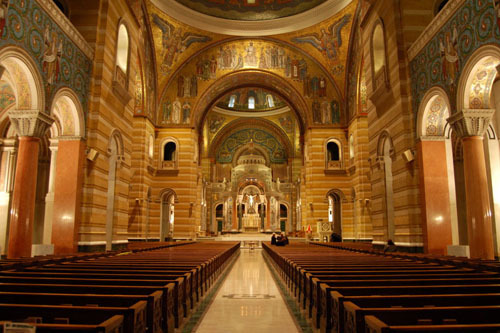 Among St Louis’ many architectural marvels is the stunning Cathedral Basilica of St Louis. Completed in 1914 and consecrated in 1926, this cathedral is the replacement for the Cathedral of St Louis, King of France. It boasts the largest mosaic installation in the world. They cover 83,000 square feet and, collectively, contain 41.5 million glass tesserae pieces in more than 7,000 colors. Price: 12 $ (12.0 USD) (Under 3 get in free). Rooftop and World Aquarium are extra. 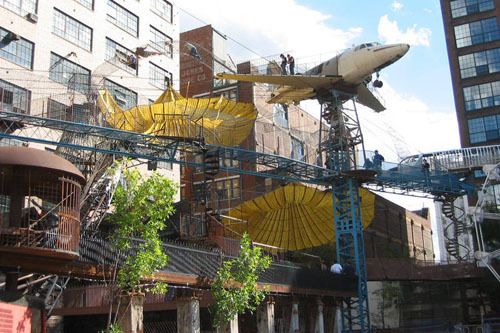 When visiting the St Louis City Museum, be prepared for a serious adventure. It’s almost indescribable, but leans toward a cross between Salvador Dali and Dr. Suess’s surrealistic worlds. Housed in the 600,000 square foot building that was once the International Shoe Company, classically trained sculptor and internationally acclaimed artist, Bob Cassilly, and his creative crew of 20, sourced and salvaged building materials including old iron bridges, a school bus (which is precariously perched halfway off the roof of the museum), old chimneys, a ferris wheel, and two abandoned planes – and that’s just the beginning. 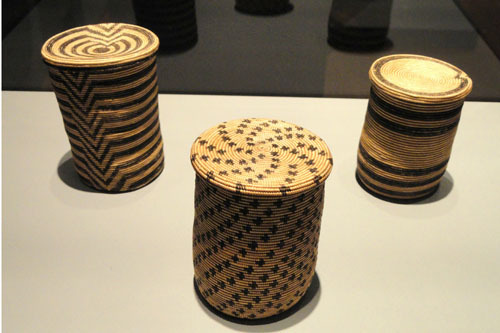 It’s what they did with those materials that’s really so amazing. For example, you could take the stairs when coming down from atop of this 11 –story building, or you could take the 10-story slide. There are treehouses, caves, tunnels, slides and places to climb and crawl for everyone. The best part is that big kids (yes, I’m talking parents) can have as much fun as the kids climbing and exploring. Get there early, there’s a lot to see and do. Named ‘One of the Ten Great Streets in America’ by The American Planning Association, Delmar Loop is the happening place in St. Louis. The loop is a hip, artsy six-block district filled with the cool and the chic. Here you’ll find the famous Blueberry Hill restaurant, Ben & Jerry’s and a whole slew of eclectic restaurants and shops to while away the hours; as well as 10 live music venues. Be sure to look down, and you’ll find your walking on the St Louis Walk of Fame. Just like Hollywood’s Walk of Fame, only these stars include the names of St. Louis’ famous celebs. This is a great place to pull up a chair and people watch. Driving and parking on the loop during peak hours can be a challenge. Take advantage of the MetroLink stop at the end of the loop. 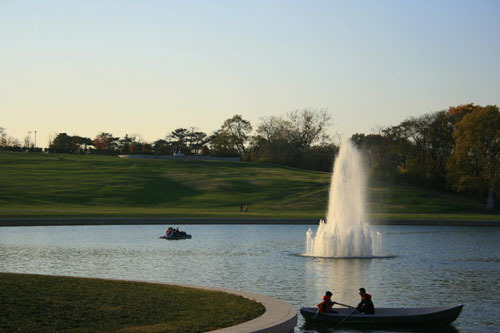 An oasis nestled in the center of bustling St Louis, the 1,371-acre Forest Park is one of the largest urban parks in the nation – 500 acres larger than New York City’s Central Park. So, you’ll want to bring comfortable walking shoes. 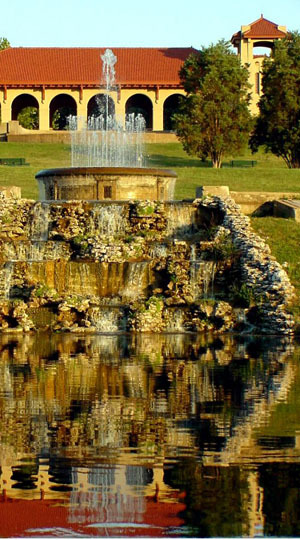 The park was the site of the famous 1904 World’s Fair, attracting more than 19 million visitors from around the world. 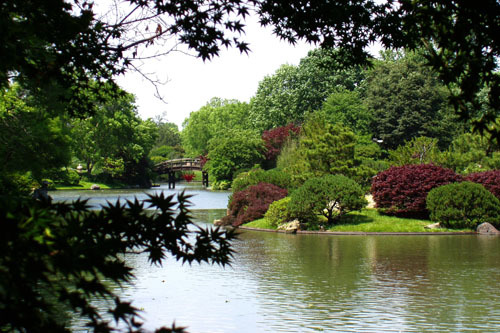 Today, the park is home to the St. Louis Zoo, the St. Louis Science Center, the St. Louis Art Museum, the Jewel Box greenhouse, and The Muny theatre. There is a 7.5 mile jogging, biking and skating path, as well as a skating rink. Rent paddle boats at the lake, and look for events each week – the national Frisbee contest or the annual Balloon Glow that takes place each September. Mere photographs can’t do the Gateway Arch justice. If you haven’t seen it, you’ll want to take a trip down to Laclede’s Landing and visit it. You won’t really appreciate just how tall the 630-foot arch – the tallest national monument in the nation – is until you’re right up next to it. 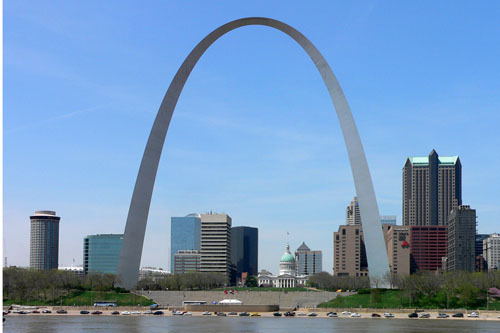 More than 900 hundred tons of stainless steel was used in the building of the arch – more than any other project in history. Take the 4-minute trip to the top of the arch in one of the egg-shaped 4-passenger pods and get a breathtaking view of Missouri and Illinois from the portals. You can enter the Gateway Arch for free. There’s a charge for the trip to the top. Inside, at the foot of the arch, you’ll find the interesting and informative Museum of Westward Expansion that pays tribute to the Lewis and Clark expedition and explains St Louis’ role as ‘gateway to the west’ to early settlers, as well as a gift shop. There is plenty of parking available and the arch is easy to drive to; however, it’s worth noting that MetroLink has a stop within a few hundred yards of the monument. Ranked 7th best family attraction nationwide in a U.S. Family Travel Guide Zagat Survey, Grant’s Farm, set on the 281-acre ancestral home of the Busch family, is a popular destination. Representing the Busch family’s love for animals, you’ll find more than 900 animals – more than 100 different species, including some of their famous Clydesdales – wandering the grounds. Admission is free to the park, though there is a nominal charge for parking. 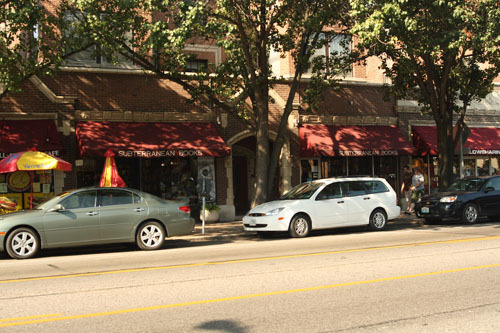 The Italian neighborhood, The Hill, remains a popular destination for visitors to St. Louis. Streets are lined with authentic Italian restaurants, pizza parlors, delicatessens, bakeries and specialty shops and tidy brick bungalows and shotgun houses – some built with free wood left over from the 1904 World’s Fair. In spite of all the social and economic changes, The Hill, unlike other ethnic neighborhoods that fell into decay and neglect, has actually flourished. People still know their neighbor’s name. Experience the charm, traditions and colorful history of one of the last remaining truly ethnic neighborhoods in St. Louis. Lined with cobblestone streets, the historic Laclede’s Landing can be both relaxing and vibrant; for it’s here that you’re within walking distance of the Gateway Arch and the Museum of the Westward Expansion; you can take a dinner cruise on the great Mississippi on one of the Gateway riverboats; a romantic ride in a horse-drawn carriage or step it up a notch and socialize at one of their many pubs, breweries and restaurants. And, if you’re feeling really lucky, visit the Lumiere Casino & Hotel for some gaming. This is where St Louis holds its Big Muddy Blues Festival the first weekend every September. 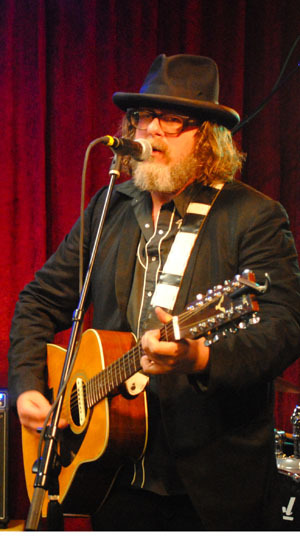 Here’s a great idea – enjoy one of LiveFeed's musical events in St Louis, donate a few bucks, buy a CD, maybe a t-shirt and have a wonderful time knowing that you’ve helped to feed one of St Louis’ more than 135,000 children who go to bed hungry each night. Live Feed is a grassroots nonprofit organization whose goal it is to promote hunger awareness right here in our own backyard. They raise money by selling products at their music venues, conducting food drives and fundraisers. Check out LiveFeed’s website for their upcoming venues. 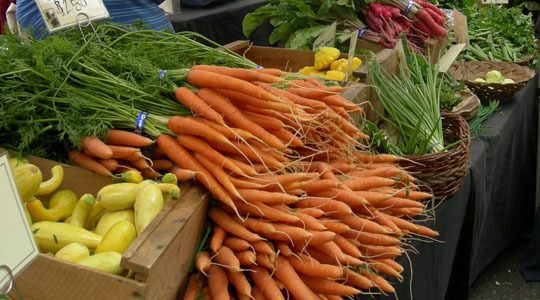 The Maplewood Farmers Market isn’t just about shopping for fresh, locally grown produce, farm fresh eggs, gently raised pork, lamb and beef – it’s a great way to spend a Wednesday afternoon. Located at Schlafly Bottleworks from 4 to 7 p.m. every Wednesday from April through October, you can enjoy a meal and a glass of fresh Sclafly beer on the outdoor patio at the Bottleworks restaurant where the market is held; listen to some live music and chat with the farmers and vendors that grew, raised or made your purchases. Free parking is available up the street on Manchester as well as at the public lot across from the Maplewood Post Office behind Bottleworks. Price: 8 $ (8.00 USD) Ages 12 and under are free. The Missouri Botanical Garden, a National Historic Landmark, is the oldest botanical garden in the United States and a world leader in botanical research. Founded in 1859 by Henry Shaw, the garden consists of 79 beautifully landscaped acres – including the tranquil 14-acre Japanese strolling garden, Henry Shaw’s estate home, built in 1850 (open to the public), and one of the world’s largest collections of rare and endangered orchids. Stroll through the fragrant rose garden, get lost in the garden’s labyrinth, and go tropical in the half-acre Climatron. Hang out with the kids at the Children's Garden. The garden is a wonderfully relaxing and educational retreat from the hustle of city. Guided tours are available. On this tour, you’ll travel by a luxurious ‘green’ SUV – runs on waste vegetable oil - to the scenic town of Augusta, Mo, about 45 minutes west of St. Louis. 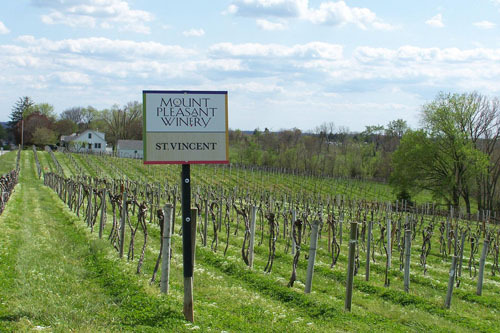 With its German roots, you know you’ll find a spirited selection of wine and beer from a choice of six wineries and a brewery. You’ll also be enjoying good food and snacks along the way. The tour lasts from 4 to 5 hours. You can make your reservations by phone, but you’ll save $5 if you make them online. They'll arrange a location to meet you. Their mission is simple – make a wide variety of great beers and throw some really fun parties. Even after 20 years in the business, the folks at the Shlafly Bottleworks are doing just that. Indeed, they’re having fun and doing their part in keeping the world a little ‘greener’ while doing it. Want to see how they’re doing it? Take one of their free brewery tours offered each Friday through Sunday every hour from noon to 5 p.m. You’ll get to see how they handcraft each batch of their delicious beer, as well as sample several of their different styles of beer. While you’re there, check out Gardenworks on the east side of the building. This is where thousands of pounds of produce is grown each year to be used in the Schlafly Tap Room & Restaurant and the Schafly Bottleworks Restaurant. 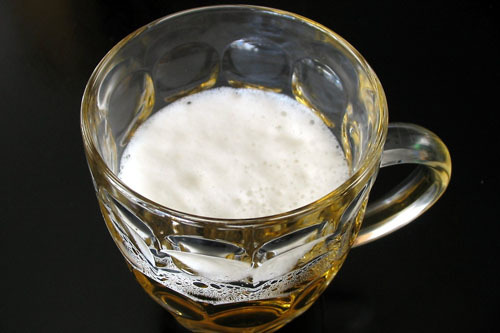 The brewery is involved in Green Drinks, an organization for people involved in environmental sustainability initiatives. Informal meetings encourage a 'force for good' from the collective efforts of everyone involved. Relax aboard either the Tom Sawyer or Becky Thatcher - replicas of the 19th century paddleboats that use to travel up and down the Mississippi. 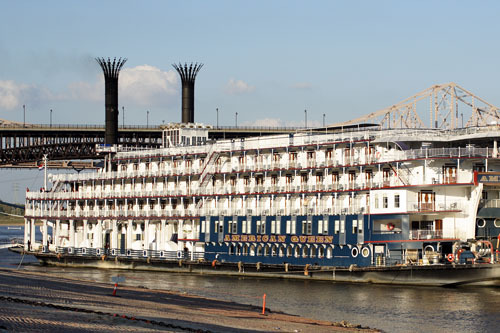 Throughout this one-hour tour, the captain will narrate the cruise and share the history of the St. Louis Riverfront, the Gateway Arch and other historical sites. 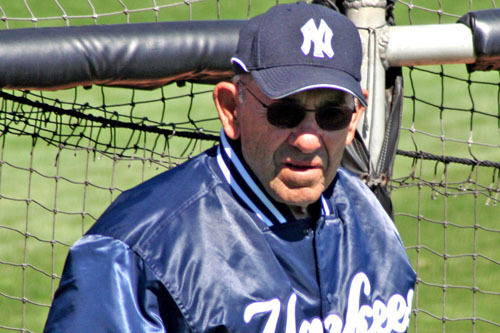 Hours vary greatly by the season. Check website for current schedule. Relax aboard a 19th century replica of a mighty paddleboat just like the ones that once traveled the Mississippi. This is the beautiful St. Louis skyline by night dinner cruise, where you’ll enjoy a delicious meal of prime rib, chicken champagne, Alaskan Pollack or vegetarian manicotti to the tune of riverboat style jazz. For an additional $25 per couple, you can ride to and from your cruise in a horse-drawn carriage. Price included secured parking in the Gateway Arch garage. If you really want to experience the roots of St. Louis, pay a visit to the historic Soulard District – one of the oldest neighborhoods in St. Louis. It has homes dating from the mid- to late-1800s. 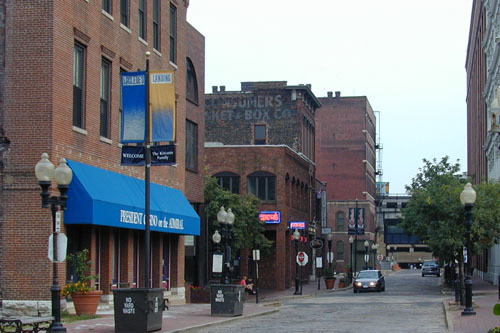 Soulard was designated a Preserve America Community in 2009. However, things weren’t always so positive. As immigrants poured into St Louis in the late 19th and early 20th century, Soulard grew and prospered. The condition of the neighborhood plummeted following WWII, when anyone who could afford to leave the crowded neighborhood did, and by 1970, Soulard was declared a slum. Today, the neighborhood has been lovingly restored and revived. In fact, in 2002, they won the Best Community Garden in St. Louis. Stroll the streets of this charming neighborhood and stop in at one of their many eateries and pubs for some refreshment. 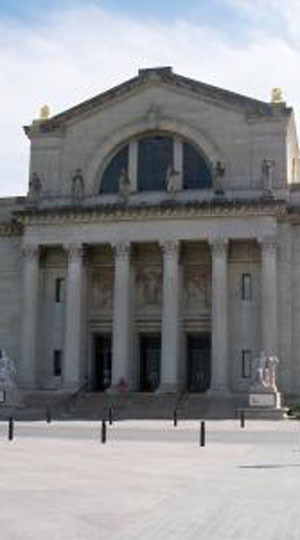 Founded in 1879, the stately Saint Louis Art Museum located in the heart of St Louis’ expansive Forest Park strives to collect, present and conserve important and original works of art – paintings, sculptures, drawings and photographs - spanning ‘five millennia and six continents’ - with the intent to educate and inspire. Indeed, the spacious halls of this museum offer an excellent assortment of African American Art, Contemporary Art, Asian Art, and European Art to 1800, and so much more. As with many other St Louis attractions, admission is free; however, donations are appreciated. And, with the exception of Friday’s, there may be a nominal charge for exhibitions. Take a leisurely 10-mile bike ride through St. Louis’ beautiful Forest Park – at 1,371-acre it is one of the largest urban parks in the nation – 500 acres larger than New York City’s Central Park. Dedicated in 1876, the park is the site of many historical events including the 1904 World’s Fair and the site where Charles Lindbergh and the Spirit of St Louis returned after his famous nonstop flight to Paris. It’s also where you’ll find one of the best zoos in America, world-class art and history museums. Experience the area while riding comfortable hybrid bicycles over 2.5 to 3 hours. A great way to spend a day in St. Louis! Daily tours have flexible starting times. Call or email to make reservations. Advance reservations are recommended for all tours. This is probably one of the most understated attractions in St Louis and with a name like the St. Louis Museum of Transportation, it may not sound that exciting; but don’t let that name fool you. 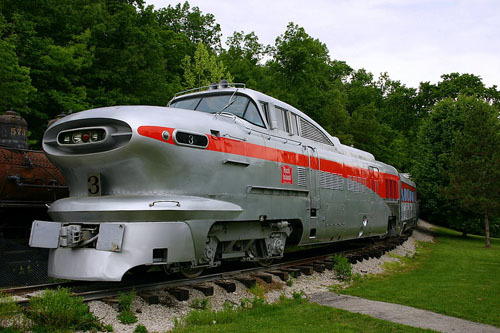 Train fanatics and car lovers of all ages are going to love this museum. With more than 190 major exhibits, it’s been recognized as having one of the largest and best collections of transportation devices in the world. There are more than 70 locomotives (many of which you can climb into), at the museum – some of the trains are unique ‘one of a kind’ or the last one of its kind. It also has a couple of truly unique automobiles like the 1963 Chrysler Turbine in their showroom. It’s actually the only operational turbine car on display. And, you won’t want to miss Bobby Darin’s ‘Dream Car’, a one-of-a-kind custom car that took seven years to complete. Definitely a must-see attraction. With more than 700 hands-on exhibits, the St Louis Science Center is a great place to spend the day with the kids, exploring and learning just what makes things tick. 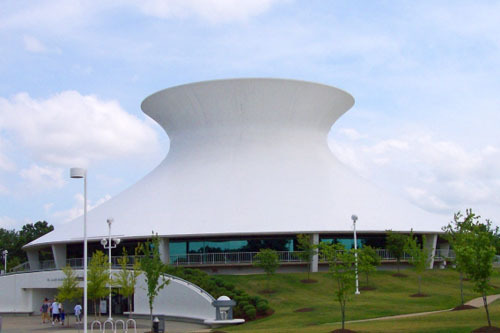 The three-building complex is comprised of the James S. McDonnell Planetarium, the EXPLORADOME and the main building. While there is an charge for some of the activities and exhibits, such as Lego MINDSTORMS and the OMNIMAX, there’s still a great deal you can do for free. Explore the Flight! Gallery, where you’ll see what inspired manned flight and space travel, and experience their state-of-the art flight simulators. And, don’t forget to take the bridge across the interstate to watch the cars go by. Experience all St. Louis has to offer via a ‘green’ SUV. Really? Is there such a thing? Indeed, these big luxurious SUVs run on waste vegetable oil; thereby, protecting our environment whilst you visit the sights of the city. St. Louis tours have something to suit just about anybody - from the Architecture Tour, Beer Lovers Tour, Chocoholic’s Tour to the Fine Art Tour and Jazz & Blues Music Tour – and everything in between. You can make your reservations by phone, but you’ll save $5 if you make them online. They'll make arrangements to meet you. 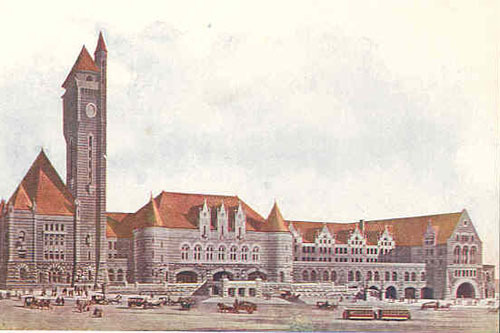 Once the largest and busiest passenger rail terminal in the world, St Louis Union Station, a National Historic Landmark, is now filled with more than 80 unique stores and restaurants – a veritable shopper’s paradise. First opened in 1894, the station was closed in 1978. It opened, once again in 1985, as the ‘largest adaptive re-use project in the nation.’ Restaurants include The Hard Rock Café, Landry’s Seafood and the Mobil 4-star rated Station Grill. 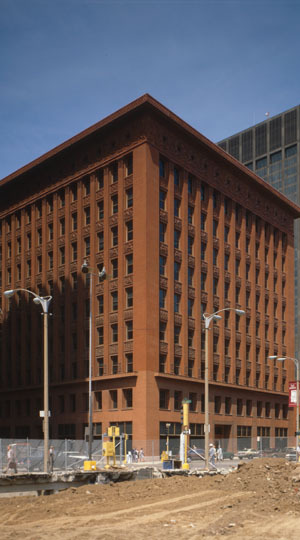 You’ll also find the 539-room St Louis Union Station Marriott Hotel, recognized as the Historic Hotel of America. A visit to the Grand Hall and elegant ballrooms of yore will wane nostalgic. When you’re ready for a break, relax by the lake on the plaza. MetroLink has a stop at Union Station, making this a very easy place to get to. St. Louis is full of history and what better way to experience it then by strolling the streets on a guided walking tour. St. Louis Historic Walking Tours offers two different 2.5 hour walking tours of downtown St Louis. While the each tour visits different historical sites, both will provide you with insight into St. Louis history from the Era of the Mississippian Mound Builders to the present. This is a great way to be green and experience St. Louis the way it was meant to be experienced. Be sure to wear good walking shoes. Call or email to schedule a tour. One of the most popular attractions in St Louis after the Gateway Arch, of course, is the beautiful St. Louis Zoo; rated the #1 zoo in the nation according to Zagat’s 2004 Guide. In this family-friendly city, so many of St Louis’ attractions are free, and the zoo is no exception. 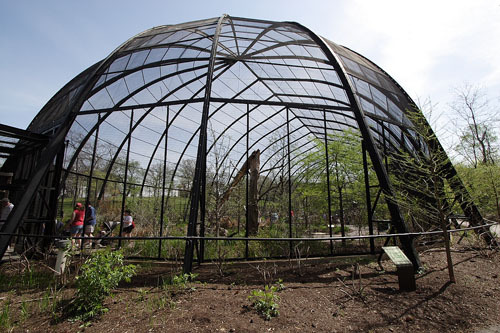 Aside from a couple of attractions within the zoo – the train and the Children’s Zoo, for example – you are free to roam the 90 beautifully landscaped grounds of the zoo and view more than 800 species of mammals, reptiles, birds, insects and other critters. Set in the spacious Forest Park, free parking is easy to find provided you get there early. Westport Plaza is the happening place to be in St . Louis - particularly during the warm weather months. With more than 10 trendy patio restaurants to choose from – Pujols 5, Panera Bread, Trainwreck Saloon , Kobe Japanese Grill and Paul Mineo’s Trattoria– just to name a few, you’re bound to be entertained by the live blues & jazz concerts, street entertainers, movie nights and outdoor parties. Need some laughs, Westport Plaza also has a Funny Bone Comedy Club; and, for laid-back musical entertainment try the Backstreet Jazz & Blues Club. At night, this mini town has an ambience all of its own, with beautifully landscaped gaslight-lit streets and a lake with a stroll path.